No more wait, you are at the right place. We are going to learn what is a website, why you need a website, what are different types of website. We will then cover how to create your first website, we will also learn how to choose a good domain name so that people can remember your website, we will then learn how to purchase a domain name. Once you purchase a domain name, your real task is now started. Now you need to purchase a hosting where your website will host. We will cover different topics like types of hosting, how to choose a good hosting provider, how to host your website free of cost. We will then cover topics which will tell you how to configure your name server so that your site will be visible at your domain name. We will then tell you something about your control panel where you perform a various task. The main task is to transfer your first website from your local computer to www. We will then cover some advanced topic like how to create a email id like yourname@yourdomain, we will then cover how to deal with FTP client. The task is not over yet, we will also cover some more advanced topic like search engine optimization so that people can find your website through search engine. Now the most important topic that we will cover is how to earn money through your website. So please keep patience and learn each tutorial step by step. Please do not cover all topics in one day, instead read one article a day and try to understand it. You may cover two or three article as per your ability. If you find any problem within any article please feel free to ask us. We tried to cover all the topics but if you still find something missing, you may contact us, so that we can provide even better services. All the article are best as per our knowledge, but if you find any mistake, please do not hesitate to tell us. We are always happy to hear from you. In simple words, a website is a collection of web pages. Web pages are documents that are accessed through the Internet, such as this one. A website or simply site is a set of related web pages which may contain content such as text, images, video, audio. A web page is what you see on your computer screen(or mobile screen) when you type a web address or when you click somewhere on a link or put a query in a search engine. A webpage is a document, commonly written in plain text with some formatting instructions of Hypertext Markup Language (HTML). A webpage may contain elements from other websites with suitable markup anchors. Web pages are accessed and transported with the Hypertext Transfer Protocol (HTTP), which may or may not be secure. If it is secure it will use HTTPS otherwise it will use HTTP. The user's application, often a web browser, translate the page content according to its HTML markup instructions onto a display terminal. A website is hosted on a web server, accessible via a network such as the Internet through an Internet address is known as a Uniform Resource Locator(URL). All publicly accessible websites collectively known the World Wide Web(WWW). Websites may have different sizes. A website can have only one page while another website may have thousands of pages, depending on what the site owner is trying to deliver. Another important thing related to a website is Home Page. When someone gives you their web address, in most of the cases, it is the address of their website's home page, which should introduce you to what that site offers, the purpose of the website or something related to the website owner. From the home page, you can click on links to reach other parts of the site. As per function, a website may be a personal website, a commercial website, a government website, or a nonprofit organization website. But we are discussing types of a website based on their behavior or the technology they use. By technology, I mean to say that the method on which the site is based or the method used to build the site. This method actually decides how the website deals with its data, content and how an interface is provided to its visitors. Usually, this kind of division deals with programmers and website developers. Static websites are those that show same content every time to all the users i.e. the website or the information does not change over time and remains in the same form as sent by the web server. Static websites are mostly coded in Html and CSS. 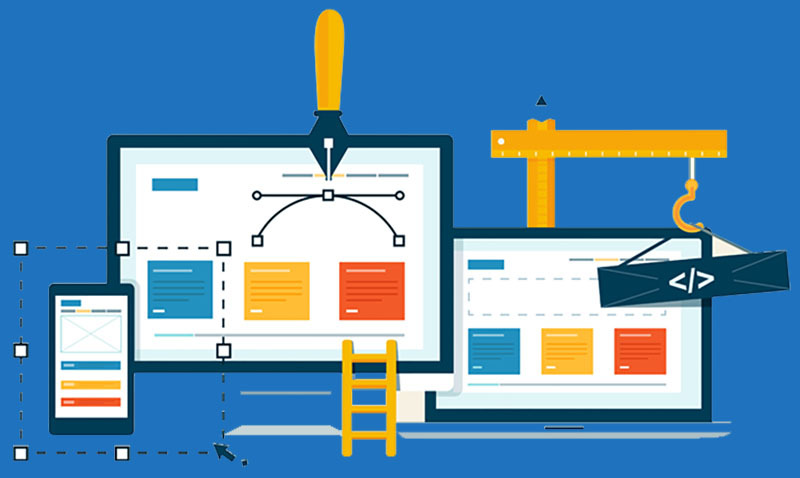 Static websites are relatively easy to build as they just require HTML and CSS. A person can create a static website without knowledge of these languages by using website development software like Dreamweaver, CoffeeCup, Front Page can be used to benefit the developer. Creating a website was a very tedious task in past days, but now this task is very easy as many software are available in the market which allows a user to create a website without requiring any programming knowledge. You can create your own website by using these tools. These tools have capability of not only creating a static website but also dynamic website like blogs, social network. We are providing a list of some famous tools that may help you create your own website. All the above tools are available on the internet, just google it. After downloading simply install it on your system and they are as simple as playing a game. Since all these tools have different working, it is impossible to explain them here, but if you still have any problem, you can contact us or write on our blog. All the above tools are used for creating a dynamic website, for example, you can create your own blog, your own social network, e-commerce website, music sharing website, forum, and much more. Each of them has different purpose and way to operate, so we can't discuss them here. The one thing is the same i.e. these all operate on PHP, so we will discuss it in the next chapter. 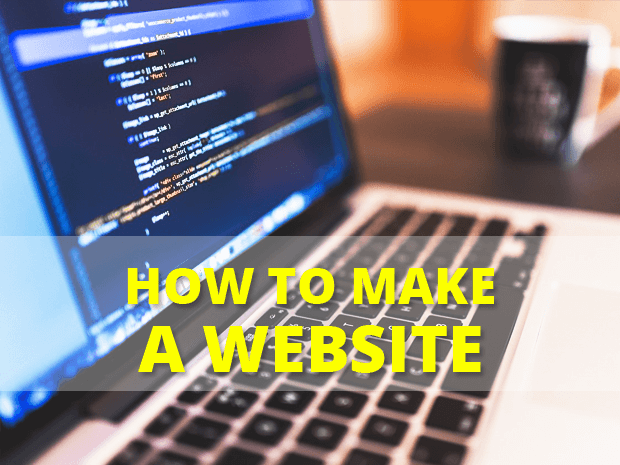 Now we are going to tell you how to create your first website. You can create a static website with the help of the tool discussed in the previous para or by learning HTML. You can learn it from w3schools.com. We are going to teach you how to create your first dynamic website. You can create anything but here we are going to discuss "how to create a blog" with the help of WordPress. All you need is to download WAMP server. Also, download WordPress from here. 1. Install wamp server. This will create a folder named www in C drive. 2. Now uncompress the WordPress and place it in www. 4. Go to phpmyadmin and click on privileges. 5. Click on "add a new user". 6. Enter a username, choose host as local and type password. 7. Now select "Create database with the same name and grant all privileges", leave other field and click on create a user. 9. Click on Create a configuration file and then click on Goto. 10. Enter the database name and username(both same) as you entered while creating a user in step 6. 11. Leave database host and table prefix as it is. 12. Click on run the install. 13. Enter site name, username (different from those created in step 6), password and Email Id and click on Install Wordpress. 14. Wait for a minute while WordPress install. 16. Enter the username created in step 13 and log in. Look at the URL of this website you will see http://www.net-hub.com , Here net-hub.com is my domain name. Domain names are unique identity of a website. In other word domain, names are the address of the website. No two website can have the same domain name. Thus domain names sure that when you type a site address, you will get it. 1. By using domain name it is possible to search for the website through search engine. 2. Domain name reflects the purpose of the website, for example, the name of this website reflect that it helps to learn you how to create a website. 3. Domain name is easy to remember. Today, the Internet Corporation for Assigned Names and Numbers (ICANN) manages the development and architecture of the Internet domain namespace. It authorizes domain name registrars. Domain name registrar are those through which domain names may be registered. Generic top-level domain name extensions started in the 1980s. At first, this set of generic top-level domains consisted of .com, .org, .edu, .gov, .net, .int, and .mil. Anyone can register a domain name using .com, .org and .net, but the remaining top-level domains have some restriction. Only related institution can register the,. For example .gov can only be register by government. After the introduction of the first 7 top-level domains, 13 new top-level domains now exist. The following 7 domains started in 2001 and 2002---.biz, .info, .coop .name, .pro, .aero and .museum. In year 2003 ICANN introduce the remaining six---.asia, .cat, .jobs, .mobi, .tel and .travel. Most of the countries have a top-level domain related to a country-specific code. For example, Indian websites have a domain name extension of.in; According to the Internet Corporation for Assigned Names and Numbers (ICANN), country code managers manage the use of these country-specific codes. This website have extension of .co.in which mean it is a professional website of India. One thing is noticeable here that however, country level domain name specifies a particular country, but they are not restricted to be used by the citizens of that country. Anyone around the world can register it and use it. As domain names are unique identity of your website, while choosing a domain name for your website, you need to remember some things. 1. A domain name should be unique: Always try to choose domain name unique so that people identify your website. If your domain name is something that is already used by another website, it will confuse the user. So remember to choose a domain name that is a unique identity of your website. 2. It should be easy to Type: If your domain name is hard to type, due to spelling, length or the use of hard words or something that is never heard about, the user will not be able to find you and you will lose your costumers. 3. The domain name should be easy to Remember: Choose that domain that is easy to remember so the user will remember your site name and will back when they require. 4. Try to keep the Domain Name as Short as Possible: Short names are easy to type and easy to remember. Short domain name useless characters in the URL thus it is helpful in the case when you tell somebody about your website. 5. It should reflect the purpose: Choose the domain that reflect the purpose of your website. For example, if your website is providing hosting services, and if you choose the domain name hello.com, nobody will search for your site. 1. Check whether the domain name is available or not: To register your domain name, enter your required domain into the search box. Domain name registration website provide a search box where you type the domain name you want to register, if it is available, it will allow you to register otherwise it will show that this domain name has already been registered. A domain name can only be registered to one person, so if someone else has already registered it, you won't be able to register the same. This is something like your mobile no, if you have a mobile no, nobody else can have the same. So once you register your own domain name, nobody else can get it. Now it's yours for as long as you want it to be! If the domain is not available, try again using an alternative name. 2. If it is available, continue to checkout: This part is just like purchasing any other product online. You simply follow the prompts through to the checkout. You may be offered related products, such as similar domain names or different top level domains. To add these to your order, click "YES! Add these to my order.". Otherwise, click "Continue to checkout". Note that you must provide contact details. Domain name registrars won't let you register a domain name without providing these details. This is a requirement by ICANN. You can use different payment method like a credit card, debit card, internet banking, Paypal etc depend upon your registrar. Once you register your domain, you will get a confirmation email. There are many domain registrars where you can register your domain. I recommend you to purchase your domain from GoDaddy, which is the best registrar in India. A subdomain is a domain that is part of a larger domain. For example http://blog.net-hub.com is not a domain, instead, it is a subdomain. I have just registered http://net-hub.com and create http://blog.net-hub.com by myself. Like domain names, subdomain also provides a unique identity of a website, but you need not register it through ICANN, once you register a domain you can register it by yourself. Subdomain help to divide website in different part. Subdomains are commonly used by organizations that wish to assign a unique name to a particular department, function, or service related to the organization. It is not necessary to register a domain to get a subdomain, you can also register a free subdomain from a different website that offers this service for example webs.com. However, these subdomains are not necessarily of your choice since other may also register this. 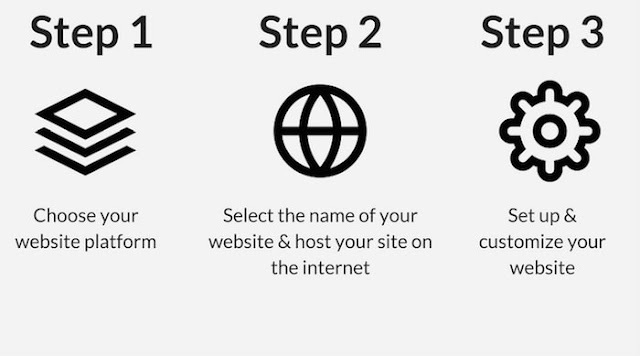 Create a subdomain is a very simple task. Once you purchase hosting, you have a control panel. Once you login to your Cpanel, you can see an option "Subdomain", just click on it. Now you need to enter the subdomain you need to create and it is ready. You may not be able to understand this in this stage, but once you have your domain and hosting, you will be able to understand it by reading our remaining tutorials. If you search on google "free domain" , you may get many websites that say that they are providing a free domain name. But please remember, nothing is free in this world. Nobody will provide you a free domain. You may hear about some website that provides domain like yourname.co.cc, your name.co.nr etc. These are not exactly domain names. Basically, they registered domain name co.cc and providing you subdomain yourname.co.cc and you think these are domain names. However, there are some websites that provide you some facility that seems to like providing free domains. One of this is dot.tk, they provide domain name like yourname.tk. But you can't register it directly. First, you need to register a subdomain as mention in previous tutorial. Once you have a subdomain you can go to this site and search for a domain name. Since these domains are virtual, you can't host it. So you need to use URL forwarding. By URL forwarding you can forward yourname.tk to yourname.anydomain.com. When you will go to register a .tk domain they will ask you for provide address of your existing website. Just provide your subdomain, and now you can access your website with this new free domain. Web Hosting or 'Hosting' is a service provided by a company which provides a physical location for the storage of web pages and files. In other words, hosting provide a way to store our website in a place by which it can be accessible to the users. A web hosting service is a type of Internet hosting service that allows an individual to make their website accessible via the World Wide Web. Without hosting your website will not be accessible via WWW. Hosting provide a space where you store your web pages and other resources like scripts, images, video or audio files, flash files etc. Web hosting service is provided by Web Hosts. Web hosts are companies that provide space on a server owned or leased for use by clients. Web hosts can also provide data center space and connectivity to the Internet for other servers located in their data center, called colocation. Data centers are the place where the physical servers are placed. The host may also provide an interface or control panel for managing the Web server. This control panel provides a lot of services like installing scripts, as well as other modules and service applications like e-mail. Some hosts provide certain software or services like e-commerce, bulk SMS etc, which are commonly used by larger companies to sell their products or for marketing purpose. Different hosting services may provide different service depend on the type of hosting plans. There are many types of hosting which we will discuss in the next tutorial. 1. Shared web hosting service: These are the most common type of hosting used by small websites since this type of hosting is very cheap. A website is placed on the same server as many other sites. A server may contain hundreds to thousands of websites. All website share server resources, such as RAM and the CPU. The features available with this type of service can be quite extensive as per the requirement of the website owner. A shared web may be hosted with a reseller. 2. Virtual Dedicated Server: This type of hosting is used by a big website or by a business company as they are better than the previous one. This type of website is costly as compared to shared hosting. This is also known as a Virtual Private Server (VPS). It is known as VPS because it divides all the server resources into virtual servers, These resources can be allocated in a such a way that does not reflect the hardware used. 3. Cloud hosting: It is a new type of hosting started a few years ago. It provides powerful, scalable and reliable service to a customer. A cloud-hosted website may be more reliable than shared or dedicated since other computers in the cloud can provide regular services when a single piece of hardware goes down. 1. Windows Hosting: In this type of hosting the server runs on Microsoft Windows. The main advantage of Windows servers is that they can run Microsoft software such as Access and MS SQL databases. Thus it allows any website that uses MS access. Windows servers are also useful when the website uses Microsoft's programming environments such as Active Server Pages (ASP), Visual Basic Scripts. 2. Linux Hosting: In this type of hosting, a server runs on Linux or Unix. Linux supports a large range of software, applications, languages, and databases such as PHP, Perl, PostGre, MySQL and many others making it very scalable, reliable and useful. However there are some disadvantages like Linux is not fully compatible with some Microsoft technologies so if you are using Access, ASP, MS SQL, or VB development tools then Windows would be a better bet. If you are creating your first website, you may not interested in spending a lot of money. Instead, you just purchase a domain name and choose a free hosting plan. YES, there are some web host, who provide free hosting. Some of them force to show an ad on your website, while some of them do not force you to show ad. These web host, however, provide limited resources, application but they are good if you just want to check how it works. Also, all the free hosting are Linux hosting, none of them provide Windows hosting. The reason is very clear and obvious, Linux is free while Windows are very costly. Because of this reason, you can not host your .NET website to a free host. Your website should be either static website i.e. HTML website or it must be in PHP. For example, your WordPress blog is created in PHP so you can host if free of cost. Once you purchase hosting, you will be provided a username and password. With the help of this username and password, you can login to your control panel. Your control panel provides you all the necessary services to run your website. Depend upon your host, the option provided in your cpanel may varies, but there are some services that are common in every cpanel. 1. Getting Started: This contains information on all the necessary services provided by that particular panel. 2. File Manager: File manager is used to upload or download files from your computer to server and vice versa. This show a tree-like structure as we use in windows. 3. Disk Space Usage: Disk Space Usage shows the used disk space and the remaining disk space. when you purchase hosting, there are a different plan as per required disk space, so this is necessary to know how much space is used. 4. SubDomains: This control and maintain all the subdomain of your domain name. After clicking here you will be redirected to a page where you can create a new subdomain, delete an existing subdomain. 5. MySql Database: This tool is use to create a database. You need to just enter database name and password and it will create a database for you. 6. PhpMyAdmin: This is same as you will get in WAMP server when you go to http://localhost/phpmyadmin /All the features and services are as it is. As you have alredy discuss this in our tutorial "Create your first website" , i hope you fell comfortable to work with it. If you purchase your domain name and hosting from the same company, this article is not for you. But you still need to know how to configure NameServer. If you purchase your domain name and hosting from different one, you need to configure your NameServer to make sure you will be visible at yourdomain.com. NameServers are necessary as they make it possible to convert the domain name into corresponding IP address where the actual website present. In other words, NameServers are used to point your domain name to your website. To work it correctly, you need to configure it. There areat leastt two NS exist for every domain. When you purchase domain, By default the NS will be ns1.anydomain.com and ns2.anydomain.com ,This will work only if your site is also hosting on same server, but if your host is different from domain registrar, all you need is to update it. Now login to the control panel of your domain name(At the time of domain name registration, you are provided a username and password for same purpose) and go to your domain. Now you will see a option "NameServer", click on it and it will ask for new NameServer. Just write it down and click on "Update". In tutorial "Create your first website", you have already created a website, but this website is running on your local PC. This website will not be accessable through WWW. However you have already purchasedomain name and hosting, Configure NameServer but your website is still reside in your local PC. You need to transfer it to the server. You can transfer your website by two methods. Either by using file manager or by using FTP client. We will cover FTP client later in Working with FTP client , here we will discuss how to transfer your website by using file manager. 1. Just open file manager and you will see a folder named "Public HTML", just Click on it to enter in it. 2. Rename your home page with index.anyextention depend on your site. If there is already any page named index, delete it. 3. Click on "upload" , choose file to be uploaded and click "Ok". Depend on your host, there may or may not be option of multiple file upload. 4. If there are any images or other files that are in a folder, you need to first create this folder in server and then upload images or other files. To create folder, click on "New Folder". If you want to upload your WordPress website to the server there is a better option. Instead, create it on local PC and transfer it to the server, it is better to install directly on the server. To do this you need to download wordpress or any other CMS, upload it to the server. Now you need to create a database as you created on the local PC. Now you need to type your website address instead Http://localhost and repeat the same steps as you performed while creating your website. Congratulation!! Your new website is now visible at yourdomain.com.If you till have any problem at any step, you can ask for the same. All of you have Email Id provided by Gmail, yahoo or any other email provider. These emails are of type yourname@gmail.com. You sometime heard some other type of Email Id like webmaster@net-hub.com . You may think how to create this type of emailid. In this tutorial, we will teach you how to create Email like something@yourdomain.com and the big thing is this is FREE. However, there is the limitation of this free plan is that you cannot create more than 1 Email Id for your domain name. For this to be done you must have domain name and hosting. 1. visit https://www.google.com/a/cpanel/standard/new3 and enter the domain name, fill basic information. 2. Now login to account and choose the Email Id to be created, i.e. choose something like webmaster, admin or anything you like. Since this is your own domain, all the names are available and you need not check for availability. a. Sign in to your hosting account and click on "MX entry". b. Delete all existing MX entries. By default, MX records may already be present. That's it, now wait for 48 hours to take place the changes. As we have already discussed how to work with a file manager, but there are some limitations that lead you to use FTP client. FTP software (or FTP client) is used to copy files from one computer to another over the Internet. Your FTP software connects to another computer connected to the Internet using a file hostname, username and password. I recommend using FileZilla, the best free FTP client. You can download it from here. Once download, just install it and open it. Now enter username and password(same as hosting control panel), you also need to enter hostname which is your domain name (without http and www). Leave port number (or enter 21) and connect it. Now in the right-hand side, you can see your directory listing of your server. It will look like same as look in the file manager. Now click on any folder to enter in any folder. In the left-hand side, it shows a directory listing of your local PC. You can browse for the files to be uploaded in your local PC. Now if you want to transfer a file to the server, just open the folder where you want to put your files. Double click on the files to be uploaded in the left-hand side. Now it will show the progress of file transfers. There are lots of option available in FileZilla, but we have covered very basic. But still you want to explore more, just install FileZilla and use it. You will be able to discover more features. We will also like to hear from you. Search engine optimization (SEO) is the way or method of improving the visibility of a website or a web page in search engine result. It is required because if your site appears more frequently in the search results list, the more visitors it will receive from the search engine. Search engine optimization is a natural process and you need not spend money. All you need is to create your site in such a way that search engine will able to show it. For this to be done you need to submit your site to the major search engine like Google, Bing . Once submitted, your site will be visible to the search engine so that more users can find it. You can use the google webmaster tool to get better results. Signup to google webmaster tool and verify your ownership to the domain. Then you need to submit your website URL and rest is on google. Same is with Bing. Just Signup for Bing webmaster tool and verify your ownership. Then you need to submit your website URL and rest is on Bing. It will take up to 7 days to show your results in search engine results. Search engine optimization is a very vast topic that can not be covered here. If you want to know more, feel free to contact us. Now you have your own website, you have already submitted it to search engine i.e. now your site is accessible to the users. Now if your website has sufficient content, sufficient visitors, it is the time to think to earn money through your website or blog. You may think about how much you earn through your website. The answer is "It is up to you". How much you earn, depend on your site content. So make sure your site has enough content so that the advertisers place their ads on your site. 1. Direct Advertisement: You need to contact the advertisers directly and request them to place their ads on your site. This may be a good method as you can earn more money, but it is very hard to complete as you need to spend a lot of time and you also have a good relationship with them. Also, your site must be very famous so that the advertisers place their ads on your site. So I recommend using the indirect method. I recommend using google adsense. 2. Google Adwords: Google Adsense is a good platform to start earning just by placing ads on your website, Every time a visitor click on the ad placed on your site, Google will pay you. You need to signup for google adsense from here. You need to provide basic information and the google will reply you whether your application is approved or not. Once approved, googl ewill provide you some code that you need to place in you website. Thats it, Just wait for your cheque. I hope this website fulfilled its purpose. At this point, all of you have your website. Its great to see your new website up and running. We wish you all "Best of luck". You can help us by providing a link to us.